If you’re anything like me, you’ve probably spent the last couple of months eating everything in sight. With Thanksgiving, Christmas and New Year’s back to back, it’s hard to say no to all those delicious side dishes and homemade desserts. But now that the holidays have come to an end, it’s back to reality. Did you know year after year, losing weight makes it into one of the top three most common news years resolutions? This is why you see tons of new people at the gym the first few weeks in January. By February the crowds get smaller as people lose motivation to stick to their goals. Of course we all know the many health benefits of maintaining a healthy weight. A healthy weight is also an important factor in optimal pelvic floor function. As the incidence of obesity increases, so does the incidence of pelvic floor disorders. This post will outline the role obesity has in pelvic floor function and hopefully motivate you to stick to those new year’s resolutions. What is considered overweight or obese? 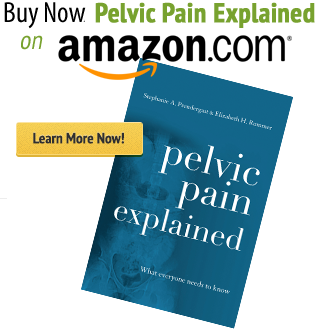 How does being overweight directly impact the pelvic floor? More research is needed to objectively quantify the actual strain obesity puts on the pelvic floor. Overweight and obese women and men are at higher risk for developing lower urinary tract symptoms such as overactive bladder, and urinary incontinence. Stress urinary incontinence (SUI) or the involuntary loss of urine on effort or exertion, is the most common. To maintain continence, urethral pressure must exceed vesical pressure at all times except during urination. Vesical pressure is the sum of abdominal and detrusor pressure.3 It has been proven that obese persons have a significantly elevated intra-abdominal pressure, therefore surpassing urethral pressure which leads to incontinence. Overactive bladder syndrome is characterized by urgency, frequency and nocturia. These symptoms are frequently associated with detrusor overactivity. Detrusor overactivity is seen with urodynamic testing which shows involuntary detrusor contractions, during the filling phase while the person is trying to inhibit urination. In a study by Pomian et al, it was found that detrusor overactivity was significantly increased in obese women when compared to non-obese women. Obese women in this study also reported a significantly increased prevalence of urinary frequency, urgency and nocturia compared with non-obese women. Obesity has long been correlated with chronic pain syndromes due to increases in inflammation and added stress to joints. This does not exclude the pelvic floor. If you look back to our mechanisms of injury list, all of these mechanisms can lead to pelvic pain and sexual dysfunction. One study looked at the relationship between woman’s BMI and sexual function using the sexual function index score, which is a questionnaire that measures how well women are functioning sexually. This study found an inverse correlation between BMI and the female sexual function index score.The higher the woman’s BMI the lower her sexual function index score.9 Even a little excess weight can impact women’s hormone levels. The altered hormone profile of obese women, can have an impact on their reproductive health. Treatment of obesity can have a positive effect on women’s sexual health and decrease risk factors related to menopause, pregnancy and infertility. As you can see obesity can have a profound negative impact on a person’s pelvic health and quality of life. 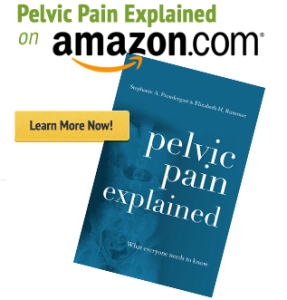 Fortunately, even losing just a few pounds can have a significant impact on your chronic pain and pelvic floor dysfunction. While pelvic floor physical therapy is the first line of treatment for pelvic floor dysfunction, I always encourage my overweight patients to lose weight as a part of their treatment plan. There are many resources out there to help people achieve their weight loss goals. It is ideal to find a weight loss group or partner to help provide structure and accountability. You can also start by making small changes to your daily routine. Take the stairs instead of the elevator, park further away from the entrance, etc. It’s also important to find activities you enjoy, whether it be a daily walk, or swimming for example, so you’ll be more motivated to stick with it. Surgical weight loss is also an option if diet, exercise, and lifestyle modifications prove to be too difficult. Not only will weight loss improve pelvic floor symptoms and prevent further progression of symptoms, it will have major positive effect on your overall health and well being. I hope this post has inspired you to get started and make 2019 a year of either obtaining or maintaining a healthy weight. Your pelvic floor will thank you for it. Jain P, Parsons M. A review. The effects of obesity on the pelvic floor. Royal College of Obstetricians and Gynecologists. 2011;13:133-142. Lazaro S, et al. Obesity and pelvic floor dysfunction: battling the bulge. Obstetrical & Gynecological Survey. 2016;71(2):114-125. Marsha Guess, MD. How a Healthy BMI helps keep the urogynecologist away. https://urogyn.coloradowomenshealth.com/blog/healthy-bmi. January 30, 2018. Pomian A, et al. Obesity and pelvic floor disorders. A review of the literature. Medical Science Monitor. 2016;22:1880-1886. Subak LL, Johnson C, Whitcomb E, Boban D, Saxton J, Brown JS. Does weight loss improve incontinence in morbidly obese women? Int. Urogynecol Journal of Pelvic Floor Dysfunction. 2002;13:40–3. Wasserberg N, Petrone P, Haney M, Crookes PF, Kaufman HS. Effect of surgically induced weight loss on pelvic floor disorders in morbidly obese women. Ann Surg 2009;249:72–6.